Buskers enjoy hundreds of techniques for divination with many dating back to before recorded history. Evidence indicates that forms of fortune telling were practiced in ancient China, Egypt, Chaldea, and Babylonia as long ago as 4000 BC. Prophetic dreams and oracular utterances played an important part in ancient religion and medicine. Every human culture has developed its own forms of soothsaying. The oracles of ancient Greece predicted the birth of heroes and triumph on the battlefield. Medieval kings had their court astrologers and wizards who were consulted about political matters and marriage choices. 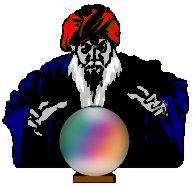 Predictive methods of fortune telling include astrology, numerology, and the utilization of objects such as playing cards, tea leaves, crystal balls, dice, fire, water, and scattered salt. Fortune telling as a process of character analysis can take such forms as the psychic study and interpretation of handwriting (graphology), facial characteristics (physiognomy), contours on the skull (phrenology), and lines on the palm of the hand (palmistry). The stars themselves can chart your way (astrology).